Artwork details: gouache, 4 x 6 inches (10 x 15 cm), 2006. One of the 'Kings and Queens of Old England' series of miniatures. 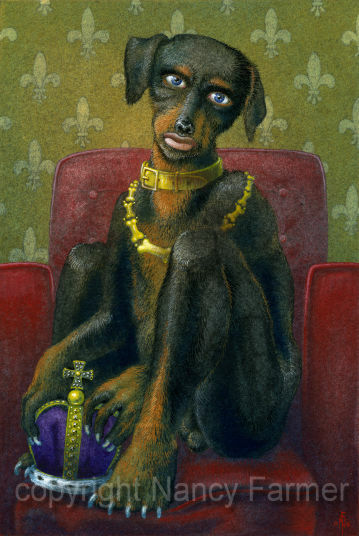 The Dog King - painting by Nancy Farmer.